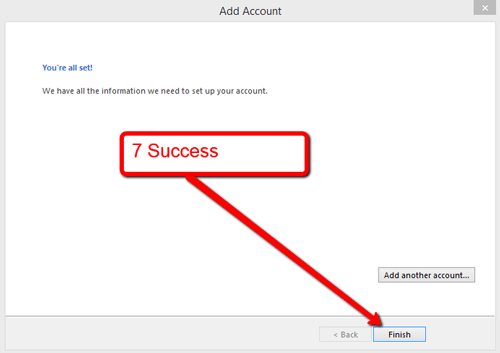 We recommend that Email Account Set up is handled by your company IT/Technical Support team. However, if this is not available to you these instructions can be used. For those of you using MS Outlook 2013, the example below is a detailed outline if you wish to use Pop3. For those of you using MS Exchange, we recommend you contact your IT provider. 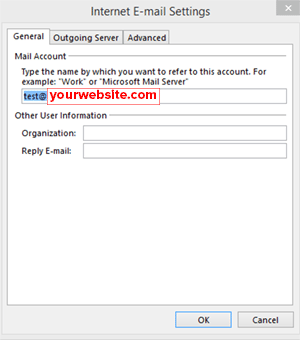 Other email client software such as Mac Mail, Windows Live Mail, Thunderbird or online options such as Outlook.com and Gmail will each have their own steps which can be done with the help of your IT provider or through research with your email client app support. 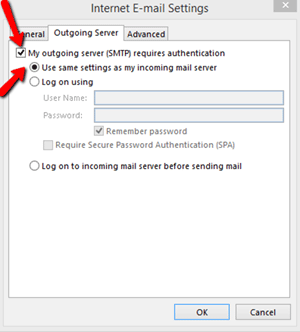 This is the step by step process for setting up an email account in MS Outlook 2013 using the NetClimber Email Hosted Settings for POP3. 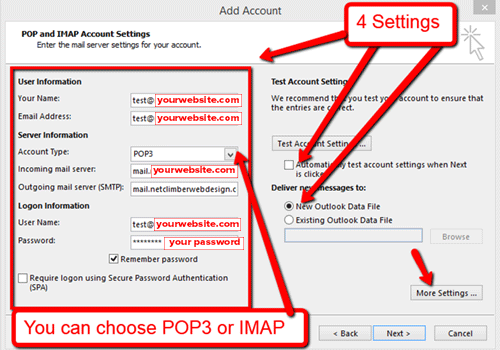 The decision of whether to set up the email account as a POP3 or IMAP should have already been considered by this point. If you are unsure which one to choose, please refer to this article. When in doubt, choose IMAP as it syncs your email accounts across multiple devices but you must make sure to keep the account cleaned up so as to avoid your mailbox becoming full. IMPORTANT: The full email Address is the user name. 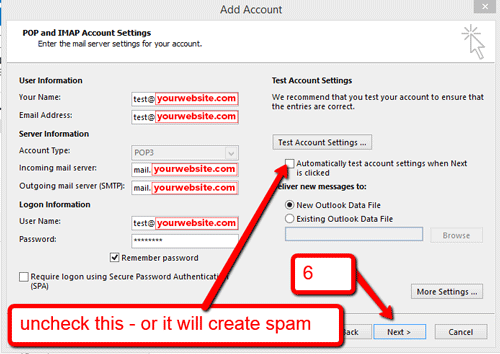 Test Account Settings: UNSELECT this option or Outlook will generate an error. 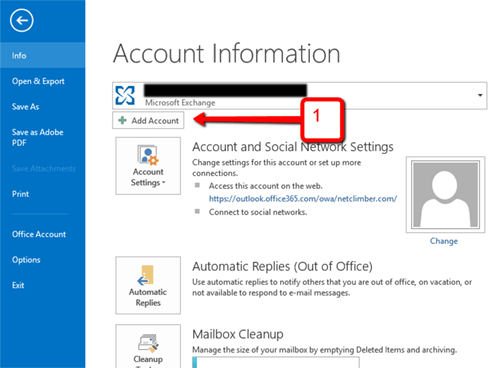 Select New Outlook Data File – When you are setting up an email address for the first time. This is for when you don’t want the data combined with an existing data file you already have. Select Existing Outlook Data File – When you have had your email set up previously. For instance if you got a new computer, you might want to move your old data file over to the new computer and then connect to it so the mail isn’t in two places. 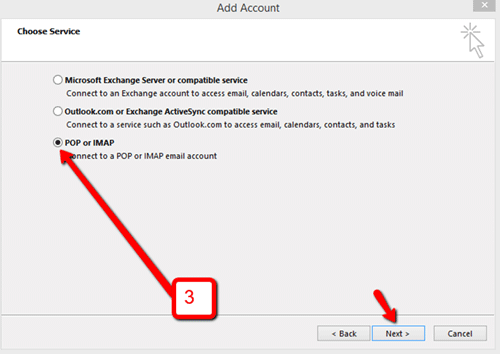 Note: This is not possible if you switch from IMAP to POP to Exchange. 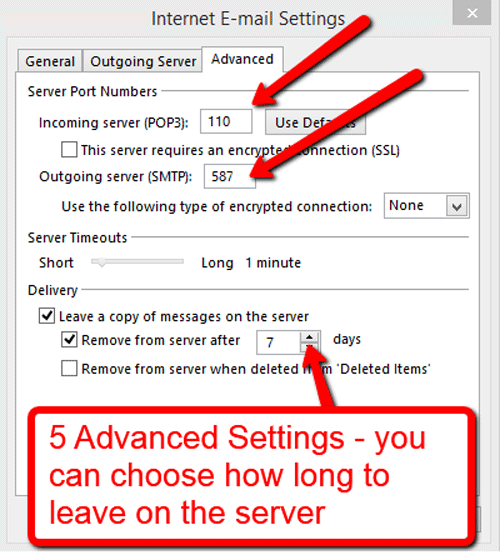 Choose the number of days you would like the email to remain on the server for. IMPORTANT: On a Mobile Device choose – Don’t Delete from Server. You will be taken back to General Settings. 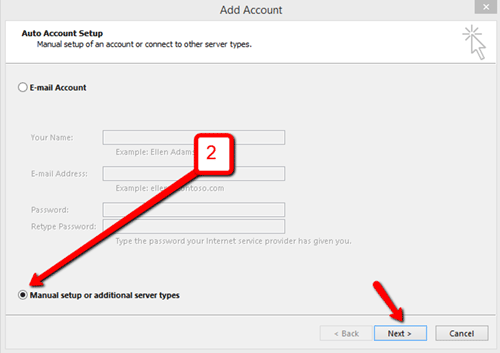 – Be sure that “Test Account Settings” is not selected. 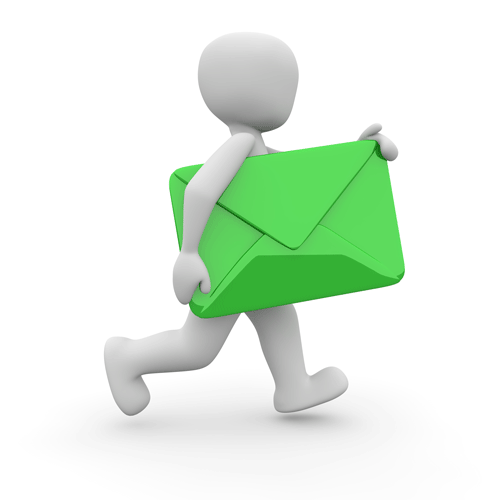 Email – What’s the difference – POP3 vs. IMAP? Vector VS. Raster | What do these terms mean?